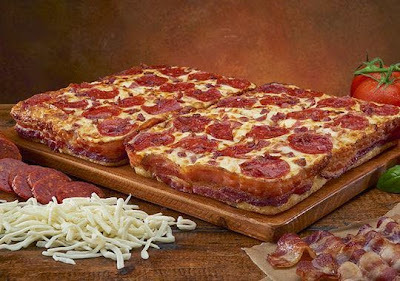 Little Caesars has devised a brand new place to feed the public's obsession with bacon: wrapped around the pizza crust. More specifically, 3 1/2 feet of bacon wrapped around the pizza crust. 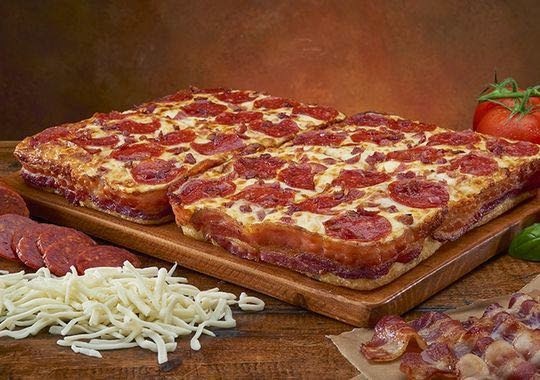 The innovative budget pizza chain is rolling out the Bacon Wrapped Crust Deep! Deep! Dish Pizza today. At $12, the limited-time offer will be one of Little Caesars' priciest pizzas. "Every time you take a bite out of the crust, you'll get bacon," says David Scrivano, CEO at Little Caesars. The pizza also comes with pepperoni and has bacon sprinkled on top. The promotion replaces the chain's Soft Pretzel Crust Pizza (source: USA Today).